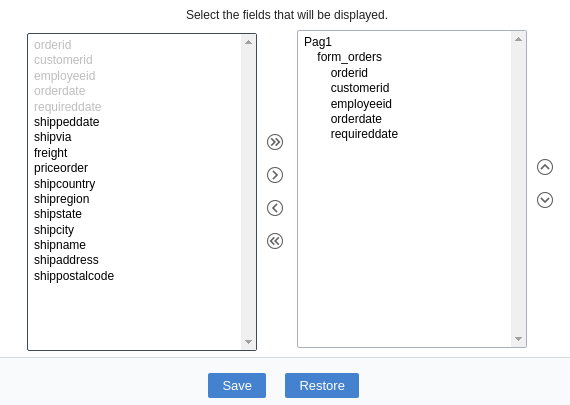 Allows to set the order that the fields will be displayed. The box to the left represents the fields that are not displayed in the application. The box to the right represents the fields that are displayed in the application.